The Manhattan National Historical Park is partnering with the Children’s Museum of Oak Ridge (CMOR) and the Girl Scouts of USA to celebrate 75 years of Girl Scouts in Oak Ridge. Beginning at Saturday, March 10th at 10:00 a.m. (ET) at the Children’s Museum of Oak Ridge (CMOR) individual Girl Scouts and/or troops are welcome to participate in hands-on activities until 3:30 p.m. (ET). Admission to CMOR will be free to any Girl Scout in uniform and their immediate family. Girl Scouts of all levels are invited to participate and will have the opportunity to earn multiple patches, while supplies last. Some of the activities include a CMOR scavenger hunt, donating items to support the community, games and a cupcake celebration. Girl Scouts who bring a new or gently used book to be donated for the local Free Little Libraries can earn a patch, while supplies last. Participants are also asked to bring items to make hygiene kits for the American Red Cross. These items include toothpaste, toothbrushes, deodorant, shampoo, lotion, soap, washcloths, razors and shaving cream. Girl Scouts can earn a limited edition Oak Ridge 75th Girls Scout patch by participating in the various events offered throughout the day. The Manhattan Project National Historical Park (MAPR) is also offering a new scavenger hunt to individual Girl Scouts and/or troops that will be made available from Saturday, March 10th through Sunday, March 25th. The MAPR scavenger hunt can be accessed at the National Park Service desk at CMOR or by visiting www.facebook.com/ManhattanProjectNPS and patches will be available upon completion. National Girl Scout week begins March 10th, which commemorates the day in 1912 when founder, Juliette Gordon Low, officially registered the organization’s first troop. This year represents the 106th birthday of the Girl Scouts! 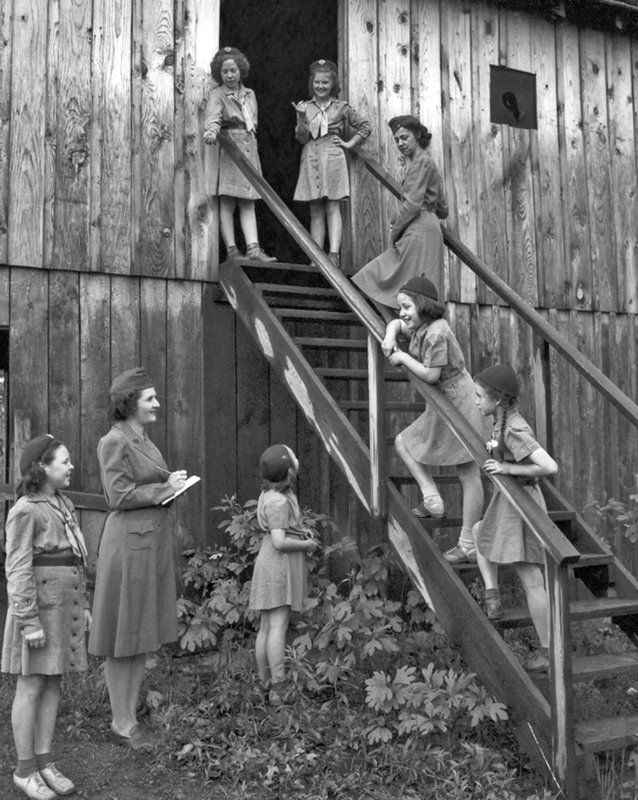 Girls Scouts was the first youth organization allowed in the Secret City, which is now known as Oak Ridge, during the World War II Manhattan Project. It was established in 1943 by teacher, Elsie Novy. For more information on this event, contact (865) 482-1942.. For information on the park, go to www.nps.gov/mapr/oakridge.htm, or you can like the park’s Facebook page at www.facebook.com/ManhattanProjectNPS, or follow the park’s Twitter feed at https://twitter.com/MnhtnProjectNPS.